CROW operates as a working and teaching hospital where students from all over the world come to learn all aspects of conservation and wildlife medicine and rehabilitation. Each year, we help educate between 45 – 50 students from around the world. We have had students from 26 major U.S. veterinary schools, more than 135 colleges and universities, and 28 countries. Our student programs are designed to augment the educational pursuits of natural science, veterinary technician, and pre-veterinary, and veterinary medicine students. 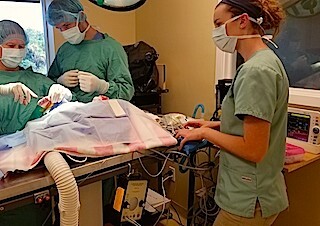 Students are supervised and assisted by a full complement of staff including our Medical & Research Director, who is a boarded specialist veterinarian, a full-time staff veterinarian, two year-long DVM interns, three certified vet techs, four wildlife rehabilitators and a host of dedicated volunteers. Emphasis is placed on the student gaining an understanding of the entire rehabilitation process from admittance through release, evidence-based wildlife and conservation medicine, as well as the One World, One Health concept. Generally, each extern and the fellowship category performs the same duties, however more emphasis is placed on rehabilitation with the undergraduate and fellowship students, and more emphasis on clinical procedures with the veterinary technician and veterinary medicine students. We offer four types of student programs. Candidates are generally natural or biological science students that have taken courses and are interested in the field of wildlife, conservation medicine and rehabilitation. Graduate students of these sciences and students prior to attending vet school may also apply. For more information, please click here. Candidates must be attending or graduated from a certified veterinary technician program. For more information, please click here. Candidates are generally graduate students of natural or biological sciences that have taken classes and have an interest in the field of wildlife, conservation medicine and rehabilitation. Veterinary technician students may also apply. This position receives a small stipend. For more information, please click here. Minimum of 20 work days. Candidates must be attending post-graduate veterinary school. For more information, please click here. Applications are considered as they are received. Our programs are very competitive and placement is based on qualifications of the applicant and the vacancies that are available. Admission is on a rolling basis with no set term dates. The Student Program Handbook is designed to provide students with a guide to CROW’s student program. Every effort has been made to ensure correctness at the time of publication, CROW reserves the right to modify at any time rules, regulations and procedures without prior notice. We are excited to have you become a member of the dedicated CROW team made up of staff, volunteers and students. All of us work together to support our mission of saving wildlife through state-of-the-art veterinary care, research, education and conservation medicine. Click here to view the Student Program Handbook. Hear what our students are saying about their experience in CROW's Student Program. 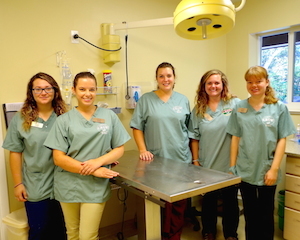 CROW offers two year-long veterinary medicine internships. 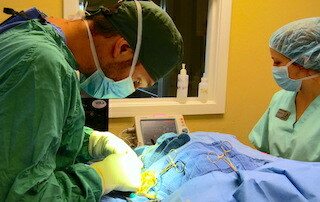 Both internships are offered through the Veterinary Internships and Residency Matching Program (VIRMP). For more information about the DVM Internships, click here. For a student application, please click here. To make a payment on your student program balance, click here. Or, scan and email to students@crowclinic.org.